Reflecting on her time in Leadership St. Pete®, Loretta Caldwell-Thompson found herself in the midst of an awakening. Whether it is to learn about your community, grow your professional network, or expand your understanding of how you can lead, Leadership St. Pete® can provide you an experience like no other. 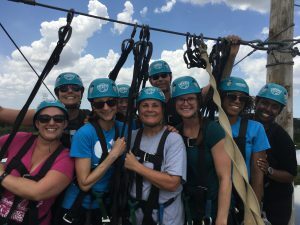 Celebrating its 50th year, Leadership St. Pete® is one of the oldest leadership programs in the country, boasting a legacy of community change, a wealth of memories and fond relationships. 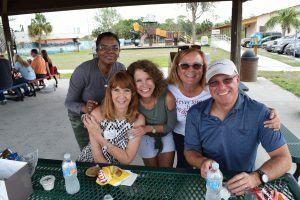 “Of the many organizations I have been involved with, Leadership St. Pete® was the single most important in terms of helping me to develop an understanding of our community and introducing me to the people who have shaped our city,” said Rick Baker, former City of St. Petersburg Mayor, Class of 1985. A program of the St. Petersburg Area Chamber of Commerce, Leadership St. Pete® is a six-month program offering a customized curriculum to help you become a stronger leader in the community through various seminars focused on education, history, local and state government, the environment, culture and so much more. But you also get to establish long-lasting connections – both professionally and personally. “Any job that I’ve had to even the place where I live is because of (Leadership St. Pete®) and the connections I’ve made,” said Susan Robertson, St. Petersburg Yacht Club, Class of 2001. “I just enjoy their friendship,” added Lucinda Grant, while reflecting on her time bonding with her class in 2000. Do you want to join one of the most highly sought after, well-known, exciting opportunities you’ll have in your lifetime? Just ask anyone who’s come through the Leadership St. Pete® experience. To learn more about Leadership St. Pete®, you can join us at any of the upcoming information sessions. Applications for the 50th class are due by 4:30pm on Friday, October 4.